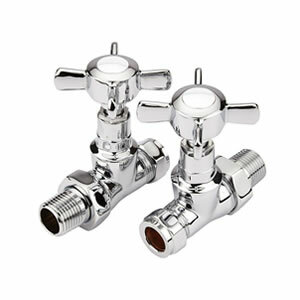 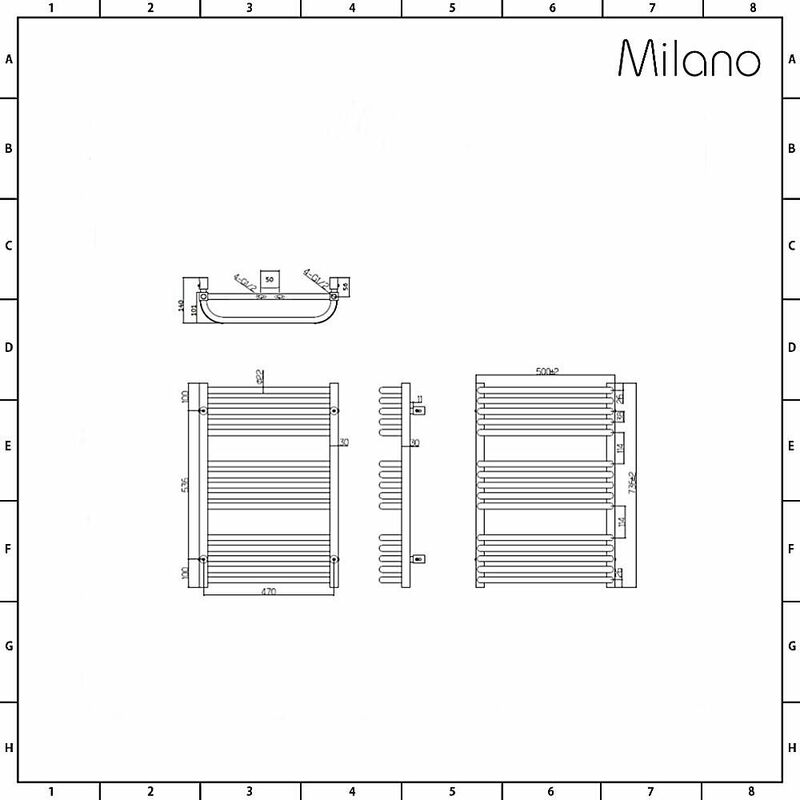 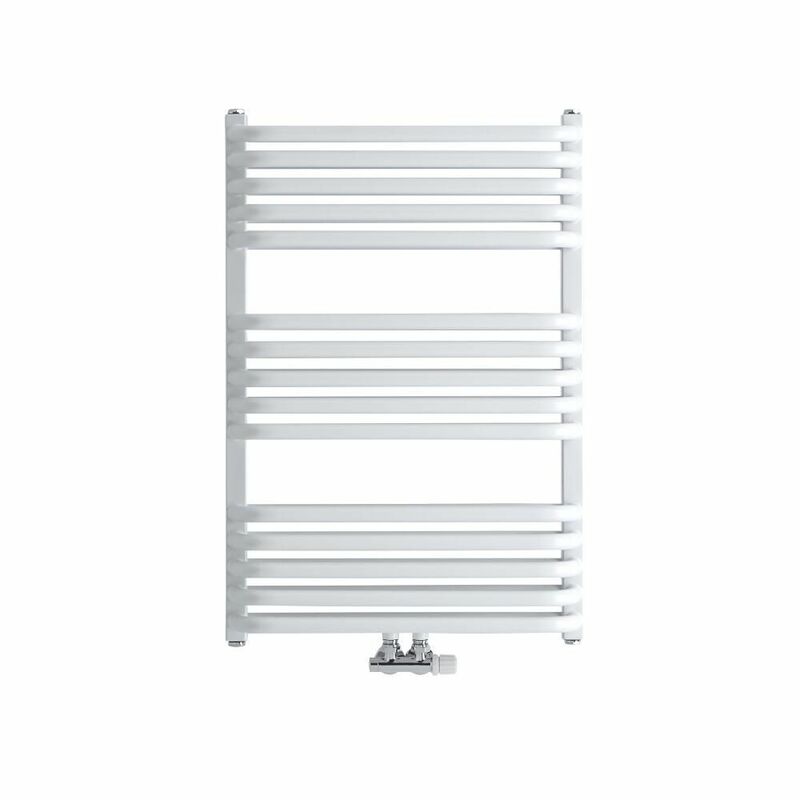 The Milano Bow 736mm x 500mm middle connection heated towel rail is the perfect choice for your small bathroom, en-suite or cloakroom. 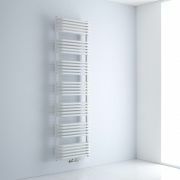 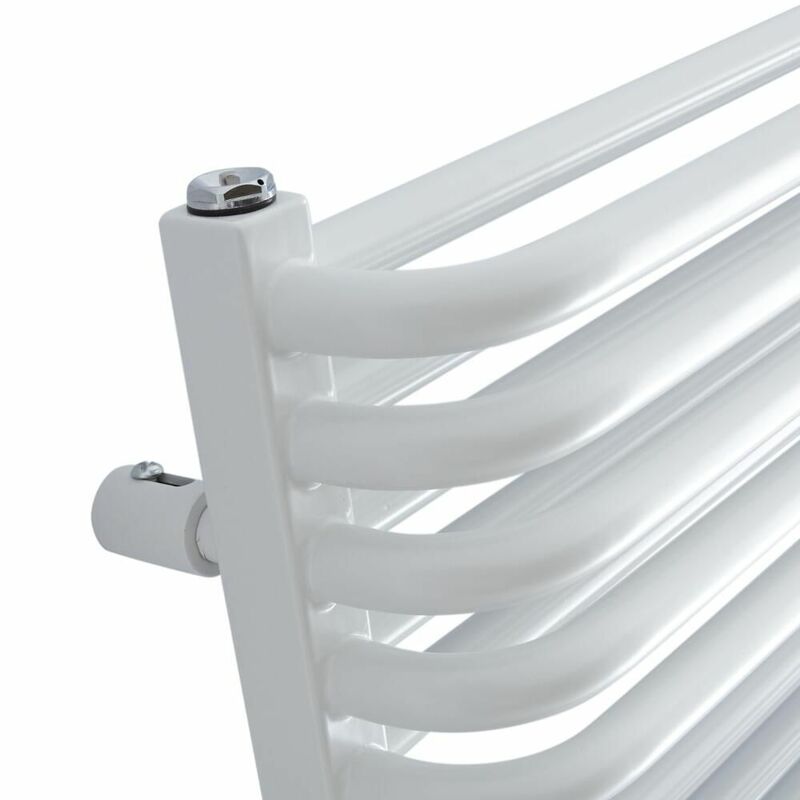 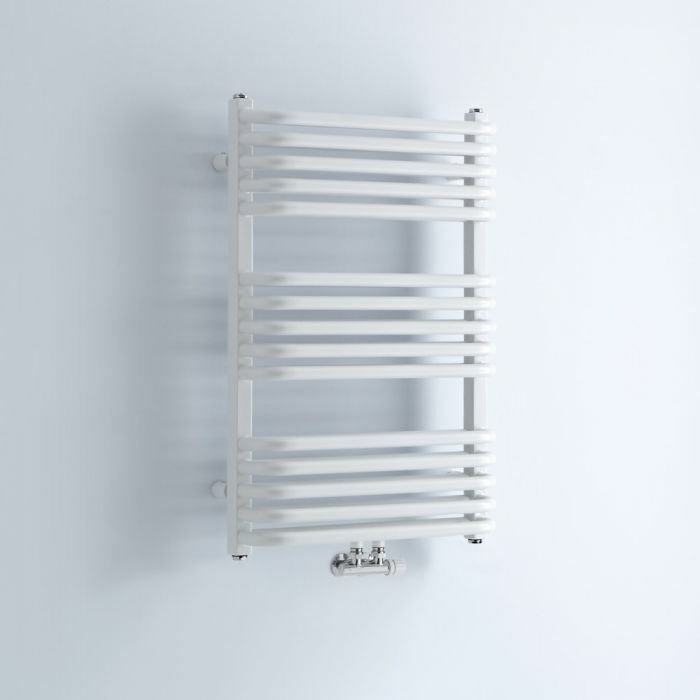 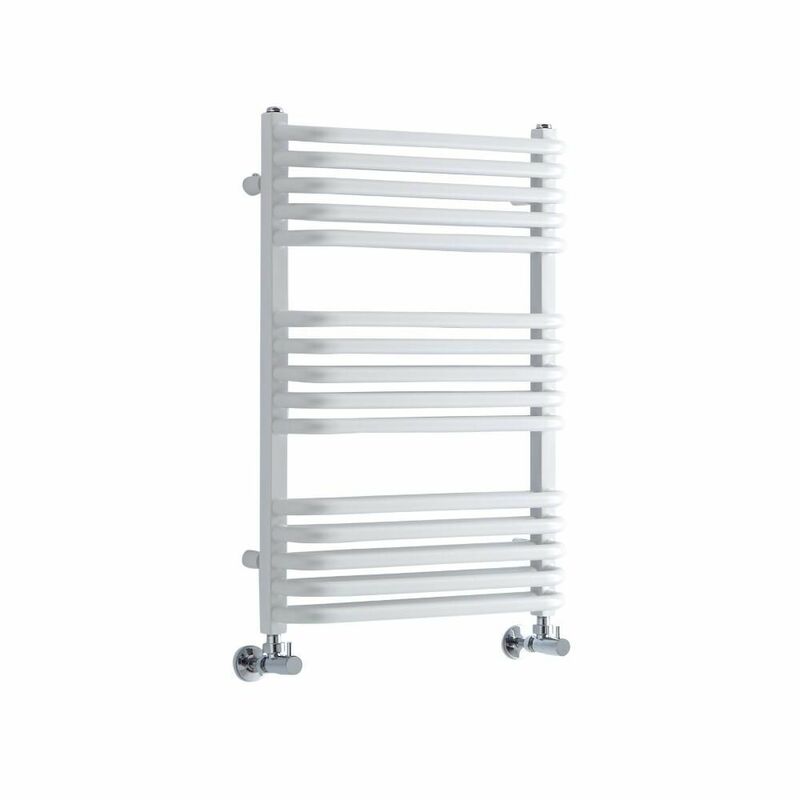 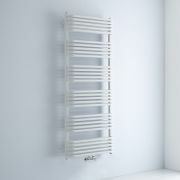 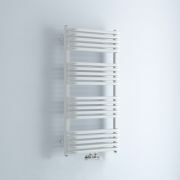 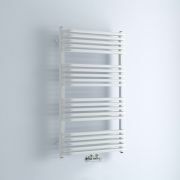 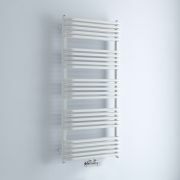 Featuring a highly durable white finish and space-saving central connection valve inlets, this stylish and practical heated towel rail will keep your towels warm and dry, as well as neat and organised. 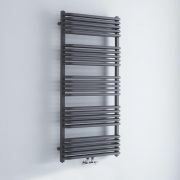 Boasting a high heat output, the Bow heated towel rail is made from premium quality steel for guaranteed durability.